May is coming to end and we’ll remember it as a month of great expectations. Students are in anticipation of summer holidays, while the community is in a wait for Wialon Hosting 0516. So let’s see what’s new in the update of May 2016. Bindings table for the reports on single drivers or driver groups was supplemented by engine hours columns. Additionally we differentiate engine hours in movement and in idle run, which useful for construction fleets managers. 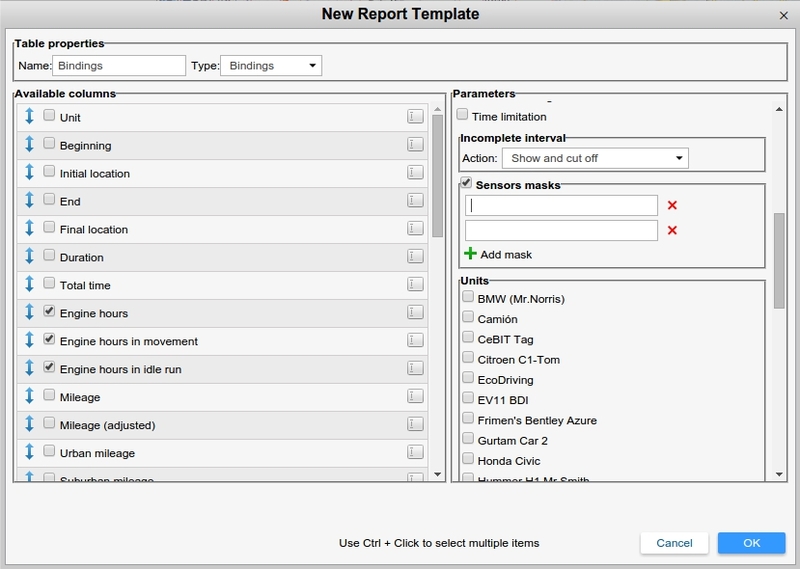 Moreover, when creating driver binding reports there’s now an option to add sensor masks to display information on fuel consumption. 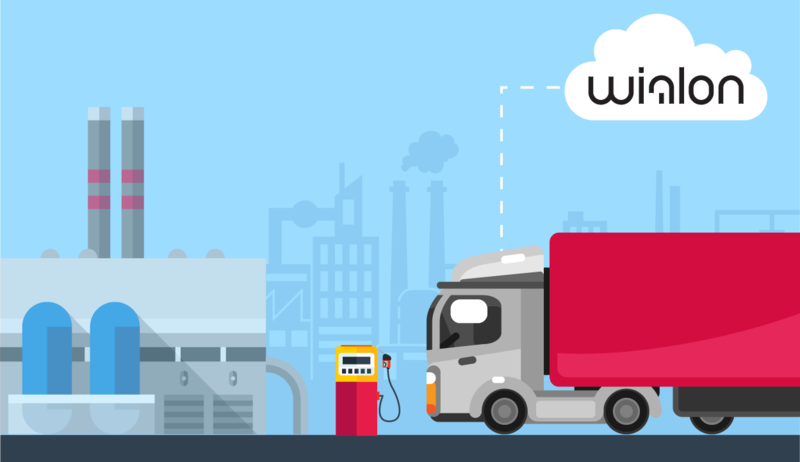 The option is useful for fuel dispensing units in case when knowledge on fuel level in tanks is not enough for effective fuel monitoring. Sensor properties dialog underwent major transformation. 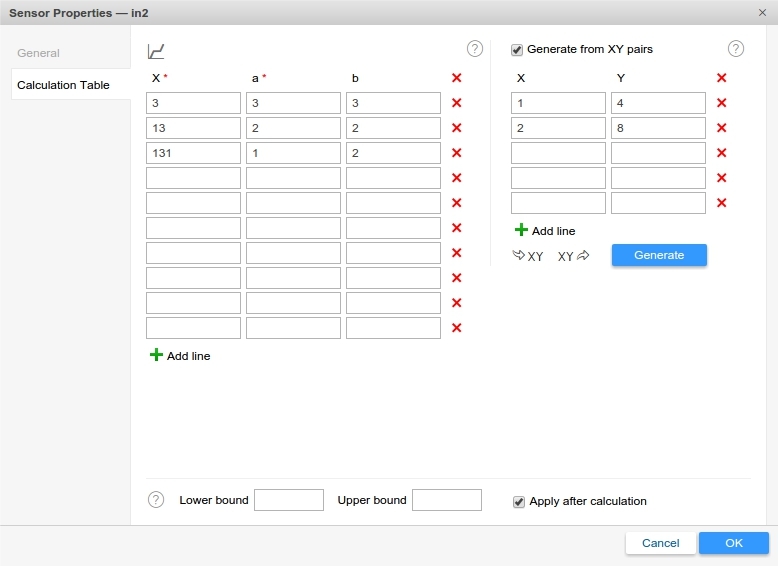 “Wizard”, “Calculation Chart” were merged with “Calculation table” to from a universal tab where you can fill in calculation table, use calculation table wizard to generate a table from known XY pairs and view the corresponding charts based on table values in one click due to quick switch to chart mode. By the way you can now back up one set of XY pairs for further application. The above allows for quicker and simpler sensor configuration with no need to switch between the tabs. Unlike the old calculation table we may add any number of blank fields prior to entering the values. That way you save time on fiiling them in one by one. 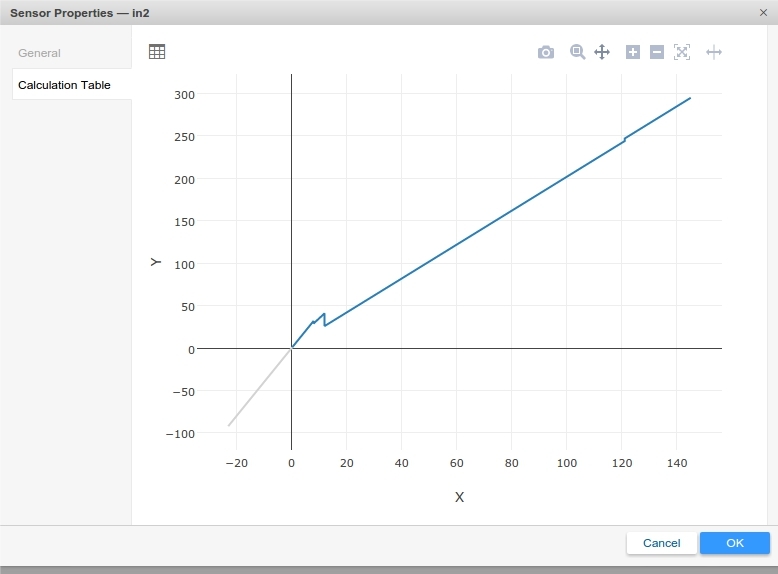 We also updated chart visualization - when you add “X” and ”Y” values limits in the bottom of the dialog, the values beyond the limits will have different color marking on the chart. This will allow you to concentrate on the values that really matter. In recent updates we address notification system optimization. We implemented confirmation when enabling and disabling all jobs and notification. With this you’ll definitely avoid their activation by mistake which saves time on deactivation of the unnecessary notifications time and again. The number of unread notifications is now displayed between the favicon and tab heading. Now you know the number of notification pending your attention even if you are browsing other web-sites when Wialon is doing its job. In the recent update we merged “General” and “Time limitations” tabs, with the latter being available upon scrolling. In Wialon Hosting 0516 time limitations are set in a separate window available at pushing “Settings”. Pop-up windows announcing events, created by minor users have always been a problem for top accounts managers. 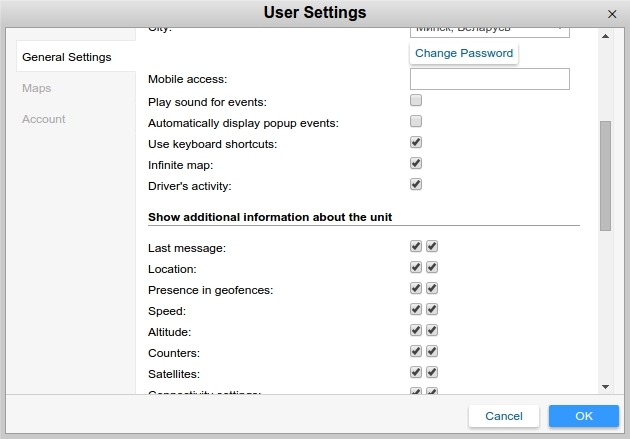 In order not to distract their attention from urgent matters we implemented an option to turn on/off automatic display of pop-up events in user settings. That way top-accounts will be free from junk data on the screen. Public transport management often demands a large number of geofences of various types on the map. That’s why we added an option to create large line geofences from tracks of real units. That way you can control routes and schedules even in geofence modules. Saving track as a geofence is available in “Tracks” panel – just select a resource and set geofence name. That’s a great example of how the ideas of our partners promote the development of Wialon system. For many of us it’s now time to go on vacation, while Gurtam team continues to work hard to impress you in the first month of summer.